Among the wounded in a deadly insider attack in Afghanistan’s Kandahar province that killed two senior Afghan officials and injured a handful of others was an American general. The insider attack, which could have cost the top US commander in Afghanistan his life, injured Brig. 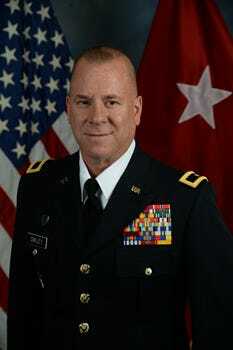 Gen. Jeffrey Smiley. Resolute Support and the Department of Defence have tried to downplay the tragic incident, at first characterising the wounded general as an injured “service member” and insisting that the assault was an Afghan-on-Afghan attack in which American military personnel were simply caught in the crossfire. The Taliban, which claimed responsibility for the attack, said Gen. Austin “Scott” Miller, head of NATO’s Resolute Support mission and US Forces-Afghanistan, was clearly one of the intended targets. A Taliban insurgent masquerading as a bodyguard managed to wound a US Army general in a high-profile insider attack this week that killed two senior Afghan officials, injured two Americans, and nearly cost the top US commander in Afghanistan his life,The Washington Post reported Sunday. During a high-level meeting at the governor’s compound in Kandahar province, one of the governor’s bodyguards turned his weapon on those in attendance, which included local police chief Lt. Gen. Abdul Raziq, the governor, and the local head of the National Directorate of Security intelligence service, as well as American military personnel – most notably Gen. Austin “Scott” Miller, the commander of NATO’s Resolute Support mission and US Forces-Afghanistan. The attacker was killed in the resulting firefight, which was “over in seconds,” according to a Resolute Support spokesperson, but not before the assailant inflicted casualties on those caught in the open. Raziq, a powerful figure and a fierce enemy of the Taliban who had survived several assassination attempts, was killed in the attack, along with the local intelligence chief Abdul Momin. The governor, Zalmai Wessa, was wounded, and so were two Americans and a coalition contractor. That “service member” was Brig. Gen. Jeffrey Smiley, who sustained at least one gunshot wound, according to The Post, citing four people with knowledge of the deadly attack. The Pentagon confirmed that report later on Sunday. The Pentagon has sought to downplay the incident, characterising it as an Afghan-on-Afghan attack where US military personnel were caught in the crossfire. The Taliban countered this narrative, stating that Miller was among the intended targets. That the Taliban were able to get close enough to take shots at senior US leadership indicates that a victory in the ongoing fight may be farther off than the Pentagon suggests. The Department of Defence continues to express optimism even as the war in Afghanistan enters its 18th year and Americans who weren’t alive when 9/11 occurred are now old enough to enlist. There have been eight US military deaths in Afghanistan this year, significantly less than the nearly 500 killed in 2010, but Afghan casualties remain high. “We remain absolutely committed to an Afghan-led Afghan reconciliation,” Secretary of Defence Jim Mattis said Friday. “Right now, we’re going toward the election and we will continue to defend the Afghan people.” Mattis said he continues to have confidence in the Afghan security forces. Afghanistan’s parliamentary elections were held Saturday after a brief delay following the attack. “With casting our ballots without fear, we honour the sacrifices of the fallen,” Afghan President Ashraf Ghani tweeted on election day.